Can breastfeeding be continued if the mother chooses to return to work or school? Yes. More and more women continue to breastfeed and return to work or school. Planning ahead is essential. 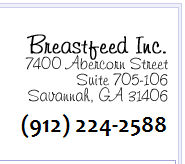 Breast milk can be expressed once the milk supply is established. The milk can be refrigerated or frozen and given to the baby at a later date. The mother can also express her milk manually or with a pump at work or school when she has a break, preferably at the baby’s usual feeding time. This expressed milk can be used for the baby the following day. A mother can continue to nurse her baby in the mornings, evenings and on weekends as before. An alternate feeding method needs to be introduced before mother returns to work so the baby can adjust to it. Ideally, someone other than the mother should give the supplemental feedings. If using a bottle, mothers must be aware that this may cause the baby to refuse to nurse. 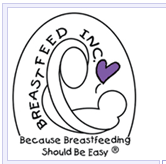 Patient persistence will result in the baby accepting breast as well as bottle.